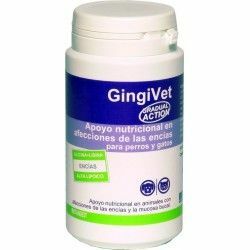 The product dissolves comfortably in the drinking water, supplying direct action of the caregiver in the oral hygiene daily of the pet. Formulated with chlorhexidine digluconate, sodium fluoride and Zinc gluconate. The antibacterial agents of Dentican Soluble, we will provide oral hygiene full, avoiding the formation of bacterial plaque, the appearance of plaque and eliminating bad breath. Can be used on dogs from 6 months of age. How to use: Dilute 1 cap of DentiCan Soluble per each litre of drinking water. Change the water every day. 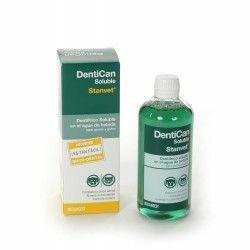 Description: DENTICAN SOLUBLE . 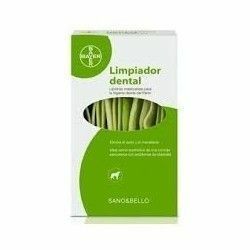 TOOTHPASTE SOLUBLE Novel presentation for the oral hygiene of the pet.